How is your day so far? I hope it's sweet and wonderful! 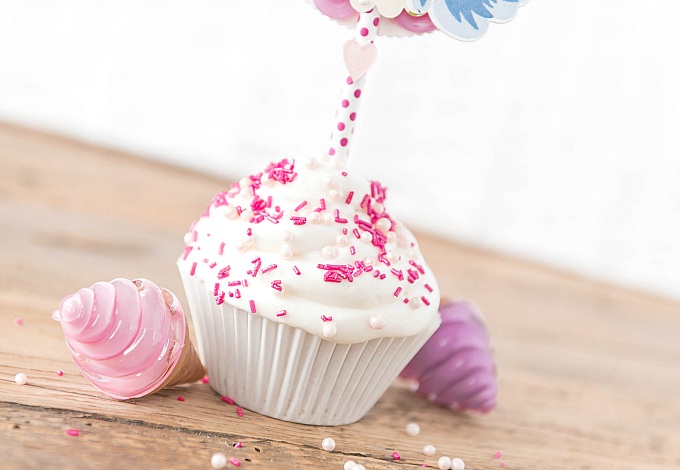 Things around here have been looking very sweet, indeed..I've had my hands full with piles of little cupcake toppers. 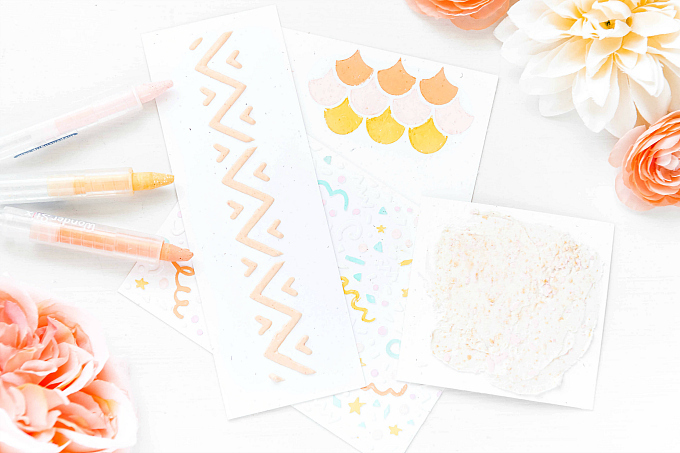 It's such a nice change to switch things up and take a little departure from card-making. 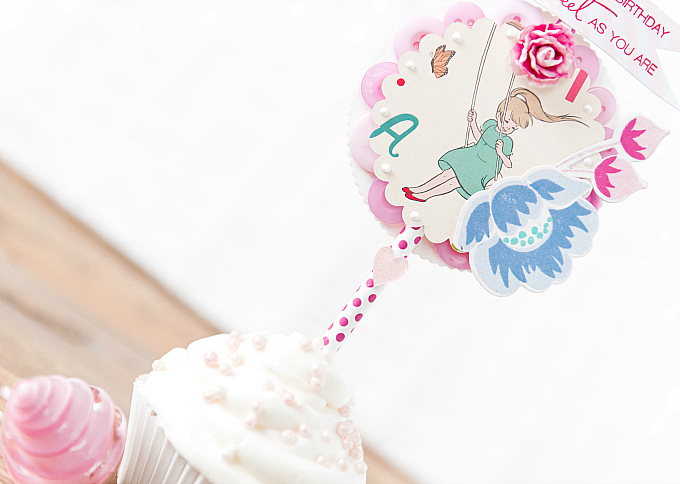 And I absolutely, positively love how these little toppers turned out. The best part? They're so easy to make! So even if you've never experimented with off-the-card crafting, I think you'll find these rather simple to whip together. 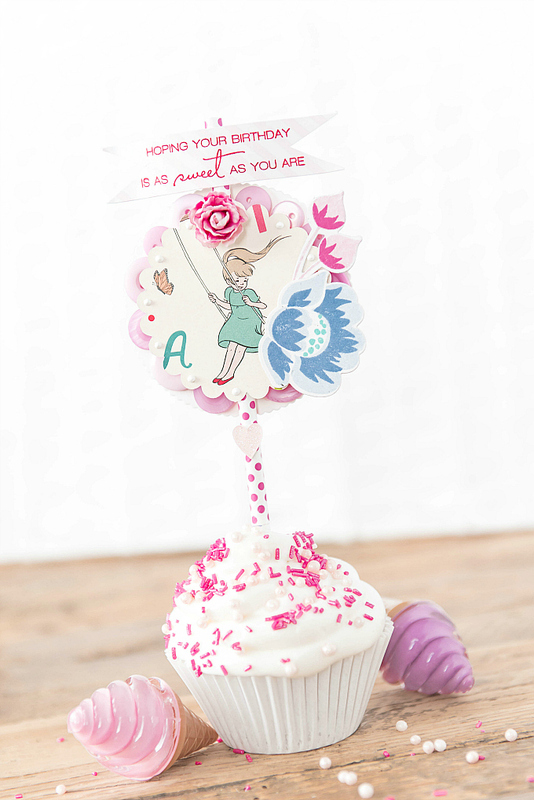 To start this little topper, I used a scalloped circle base from Papertrey Ink's Scene It: Basic Backer die. I used a pile of Lavender Moon buttons to outline the edge of the base, before adhering a sweet vintage image. For the sentiment, I used the Just Desserts Sentiments mini stamp set from Papertrey Ink, stamped in Pure Poppy ink. To finish off the design, I used Gran's Garden stamps and dies for the florals, stamped in Aqua Mist, Blueberry Sky, Spring Rain, Sweet Blush and Raspberry Fizz ink. At first, I thought about using cake pop sticks to secure the toppers in each cupcake, but found them rather plain...being white and all. I then switched to these sweet polka dotted straws and I think they add just the perfect amount of color! Thanks for joining me today friends! How sweet is this! What a fun way to dress up a little dessert. I like the cute vintage OA topper. They have always been one of my favorite paper companies!